Those sources told WFTV reporter Mary Nguyen the funding could be considered a major conflict of interest. Eyewitness News sources said the judge knows there's a concern about Baez's defense fund. He could decide it's baseless, but if he determines Baez did something wrong he could remove him from the case. 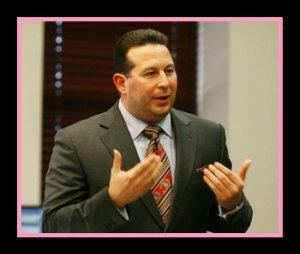 Casey Anthony's attorney, Jose Baez, has repeatedly avoided all questions about who is paying for his services, but sources told Eyewitness News the State Attorney's Office received at least one complaint, a complaint that Baez may have made a contingent deal with entertainment interests that means he gets paid based on the outcome of the case, which is banned by the Florida Bar. Eyewitness News does know the defense has already received around $200,000, but the terms were unclear. "Because of the nature of this case and, creatively, the abundance of the rumors of the source of the attorney fees," WFTV legal analyst Bill Sheaffer told Eyewitness News. "This court will probably make an inquiry that they'll err on the side of caution." It's not clear how the judge will handle it. Sheaffer said the judge will likely look into Baez's funding source to make sure there is no conflict of interest and to prevent an appeal. "It is to make sure the lawyer is representing the client's best interest and not considering the interest of who's paying the attorney's fee," Sheaffer said. A spokesperson for the State Attorney's Office said the state is aware of the allegations. Prosecutors want to know who is paying his fees and how much money has been spent. The State Attorney's Office spokesperson also said the court is aware of the complaints and it will be up to judge to decide how to handle it. Jose Baez's spokesperson said Baez has not made any contingent deals. He said Baez is involved with coordinating licensing fees and deals with various production companies, but does not profit on those matters.